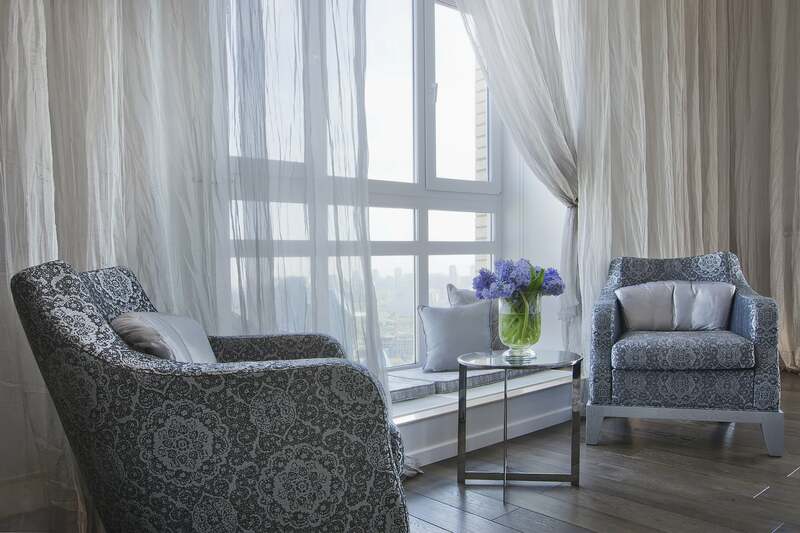 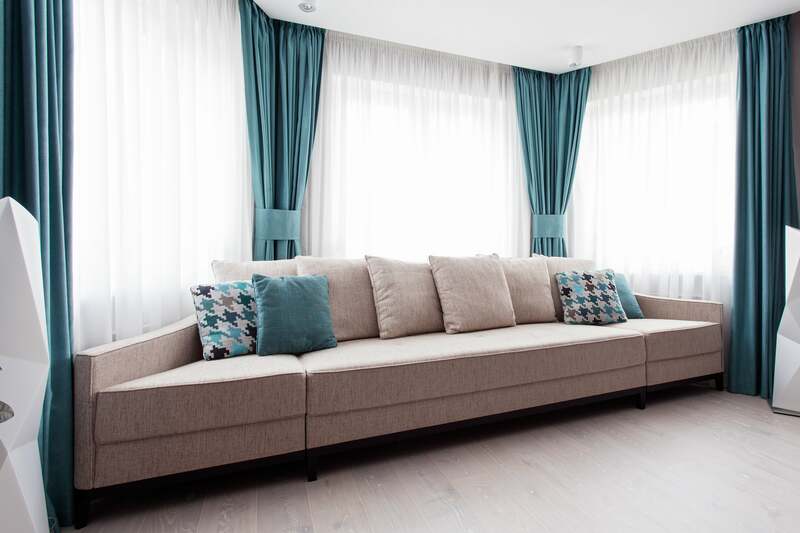 We love being able to bring your soft goods interior design ideas to life. 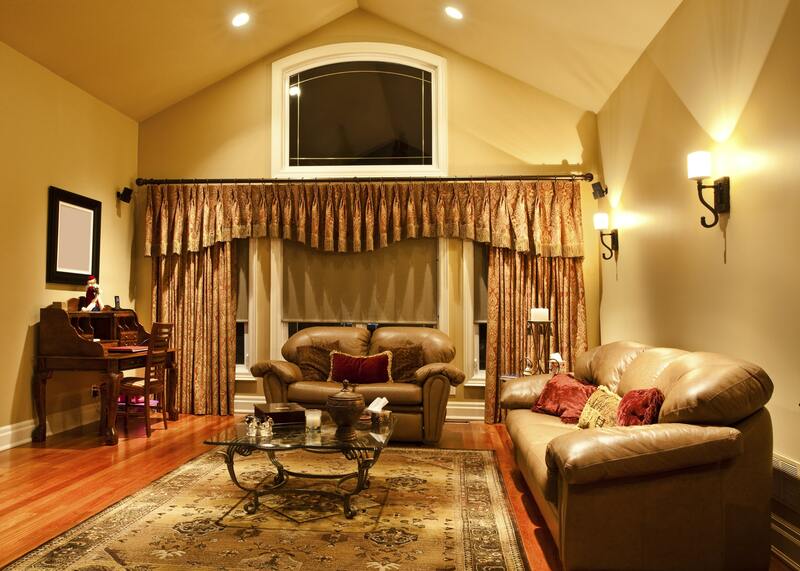 Please check out our diverse portfolio. 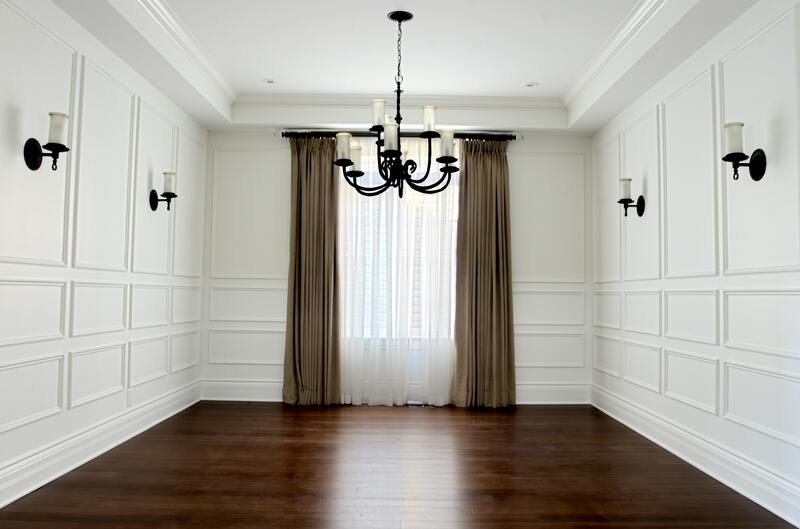 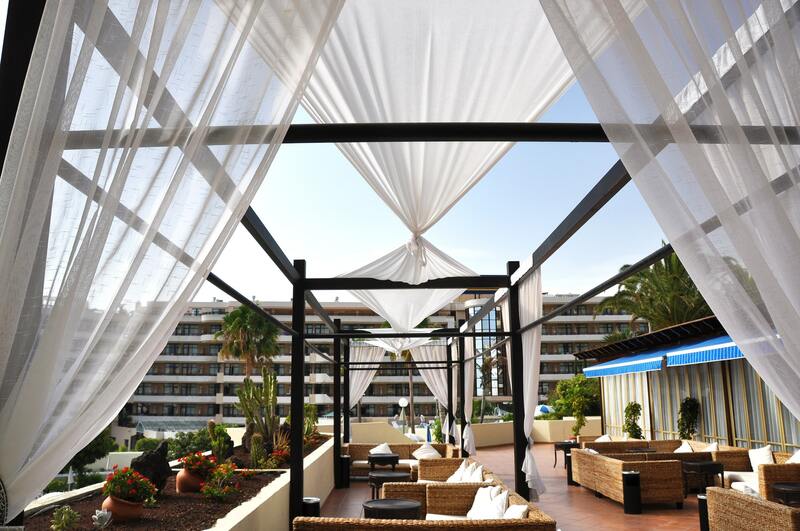 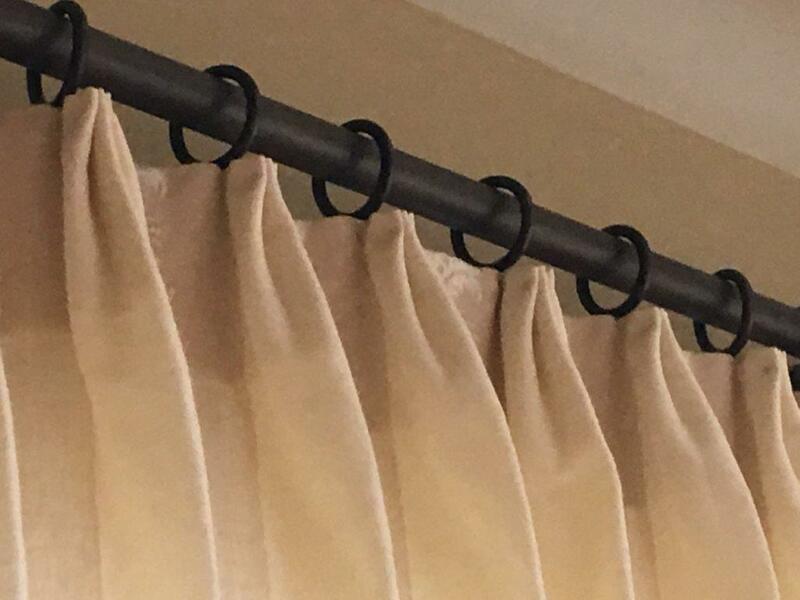 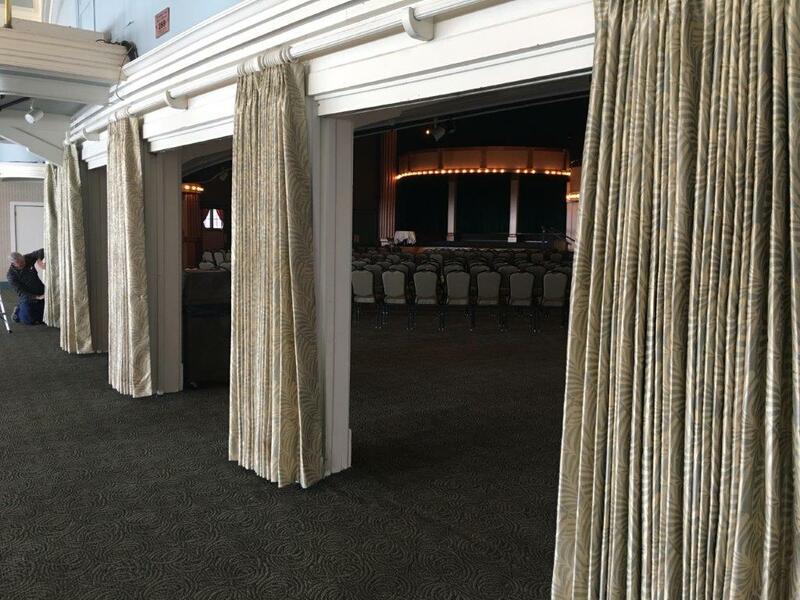 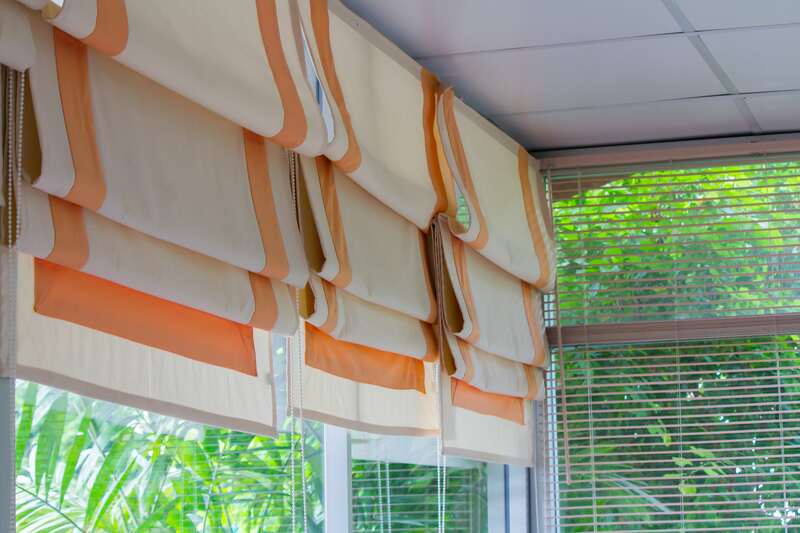 Drapery can make all the difference in any room, and we can fabricate any kind of drapery to meet your needs. 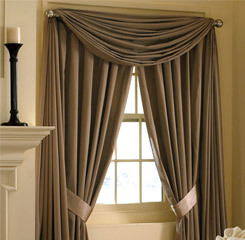 Sheers soften the room with or without side panels. 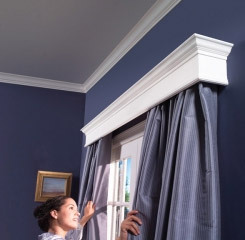 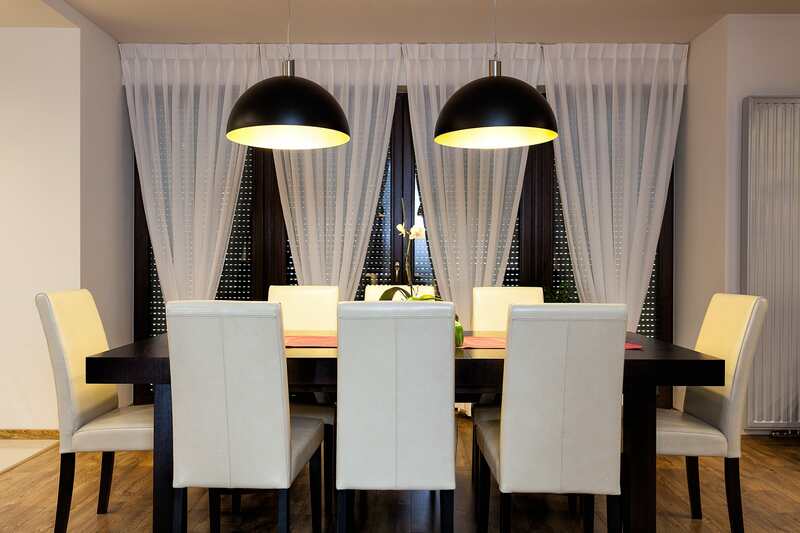 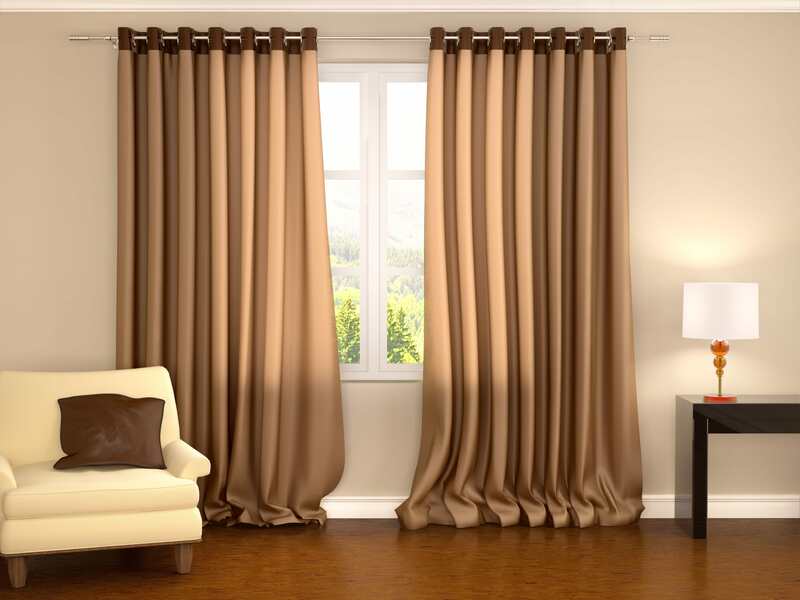 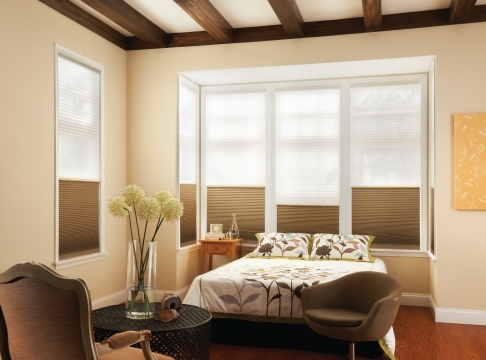 Room Darkening is an option for all draperies. 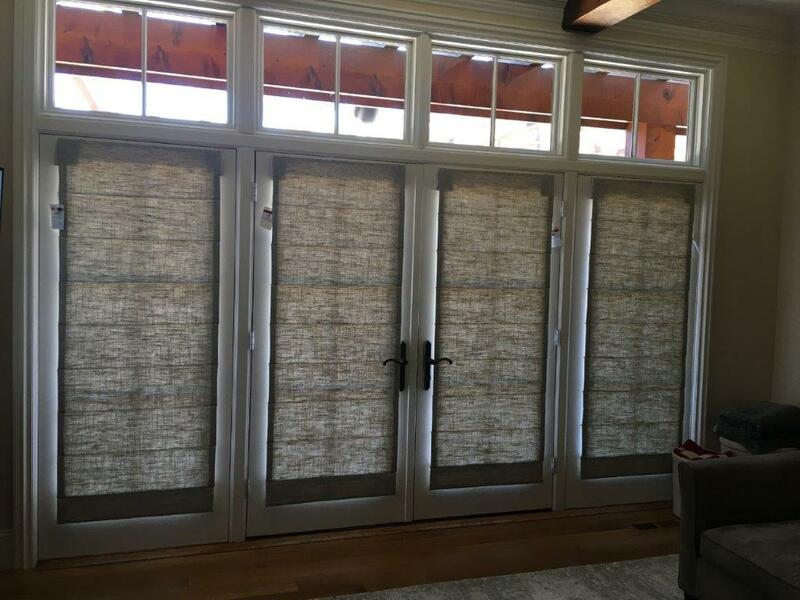 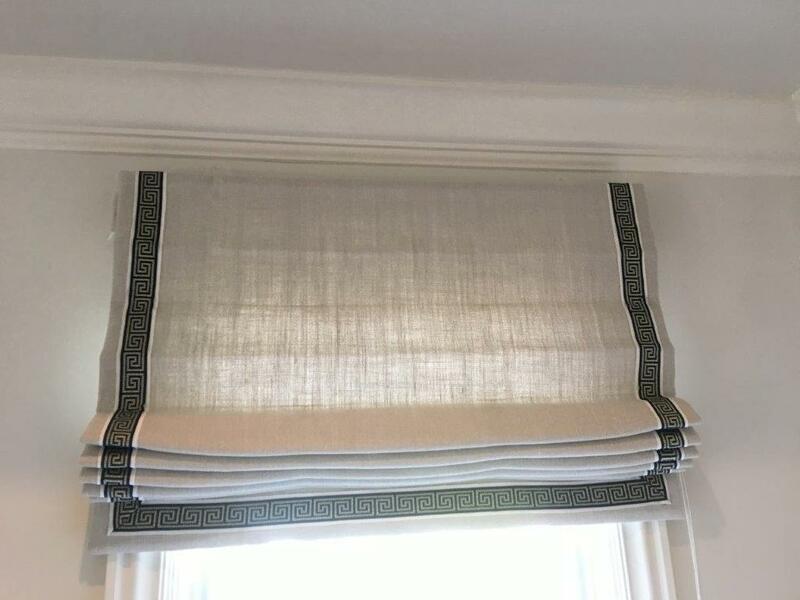 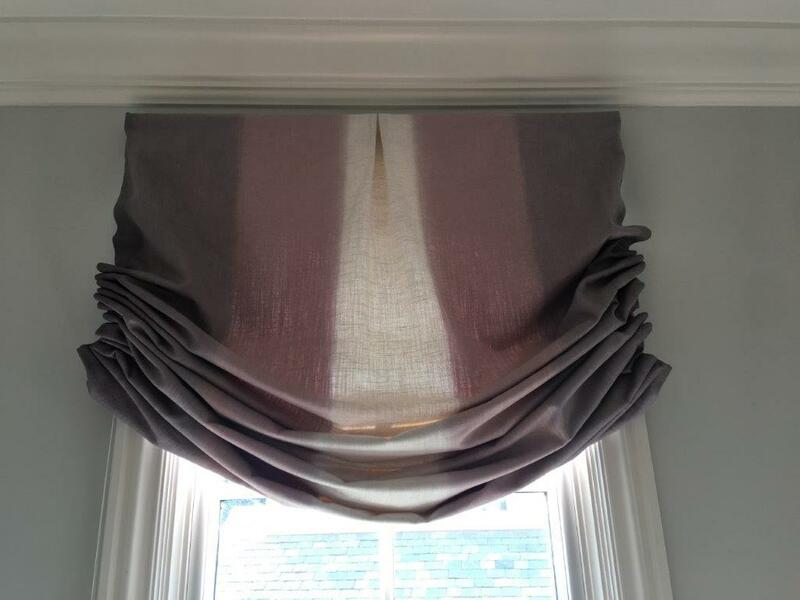 Roman Shades can be fabricated in most every type of fabric from linen to woven grasses to velvet, and we carry them all. 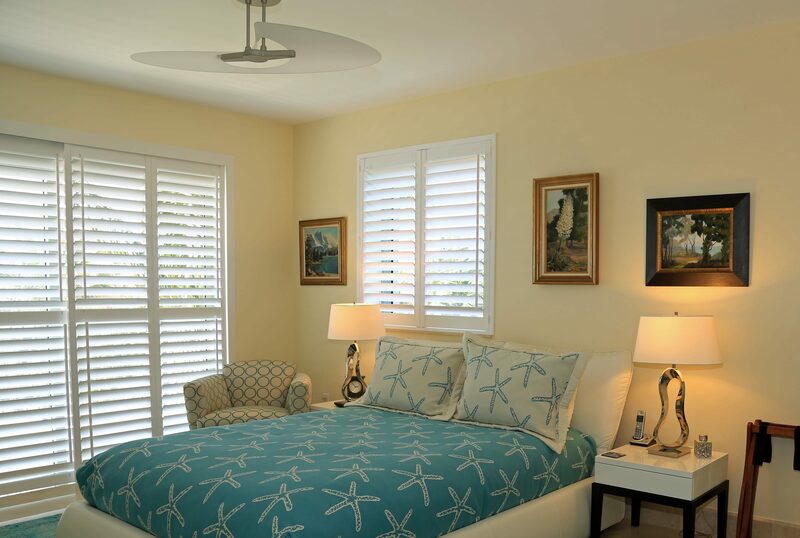 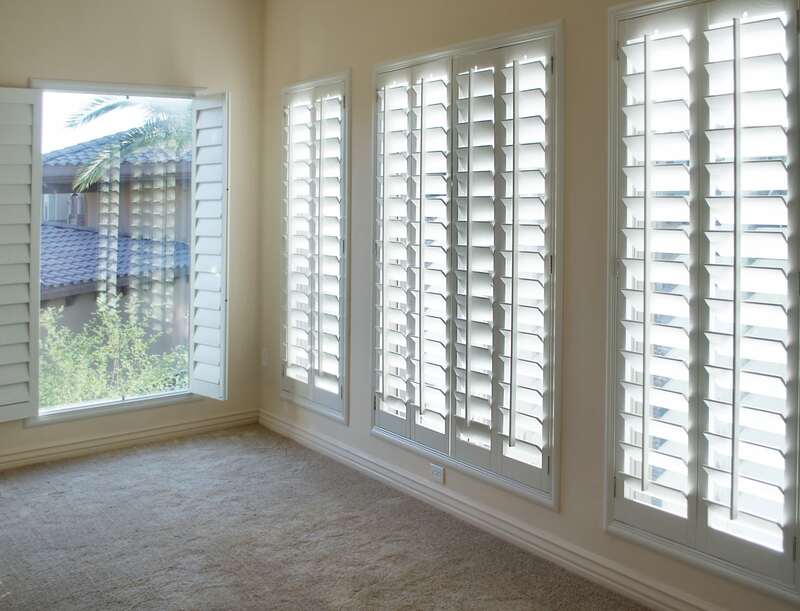 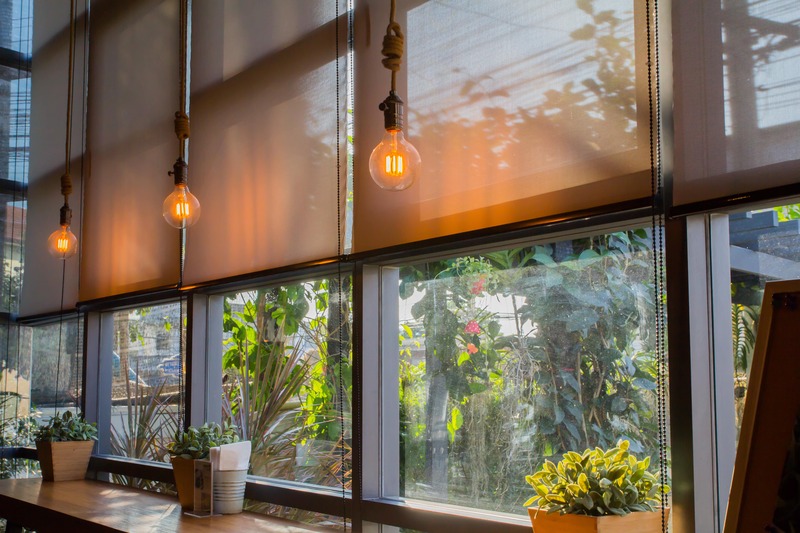 We provide full sales and service of Plantation Shutters, and blinds including wood, faux wood, solar and roller shades, honeycomb shades, woven woods and soft shades. 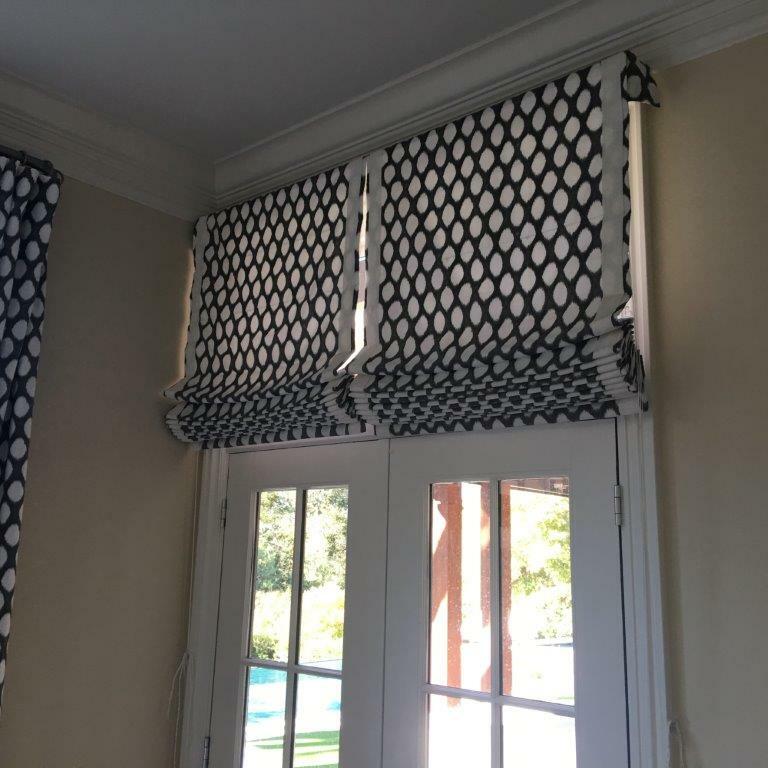 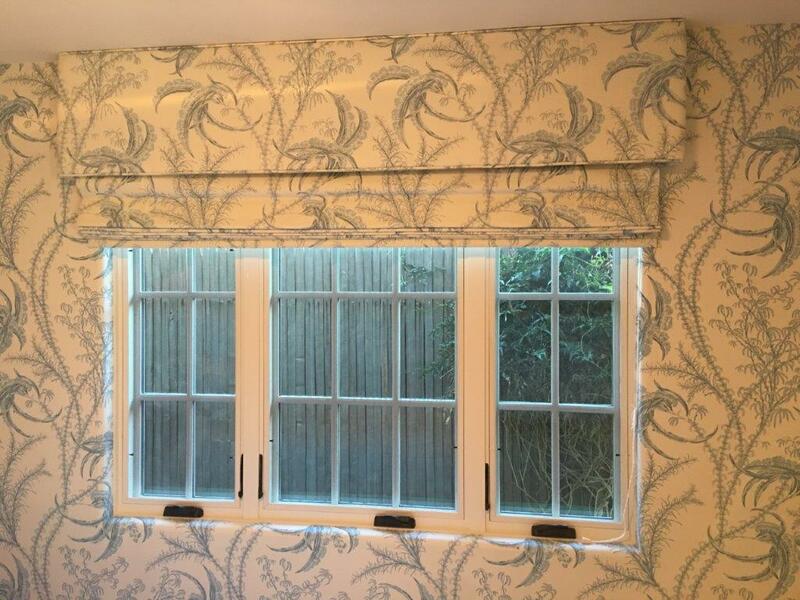 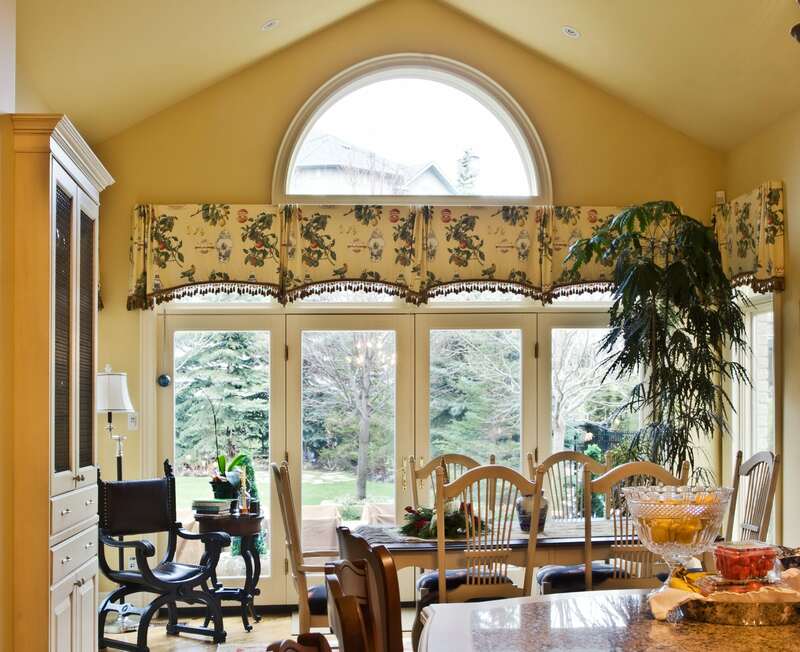 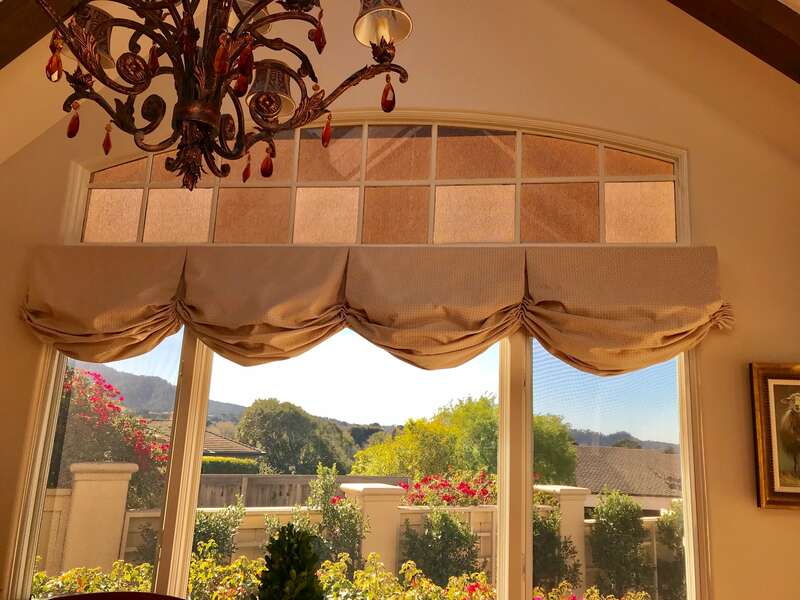 Custom cornices are upholstered fabric on a board, always one of a kind. 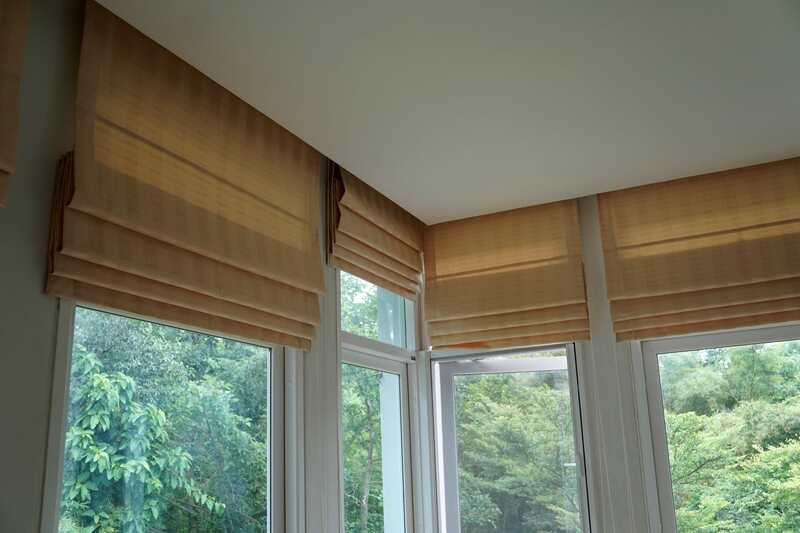 Built to suit, we can make them simple or fancy. 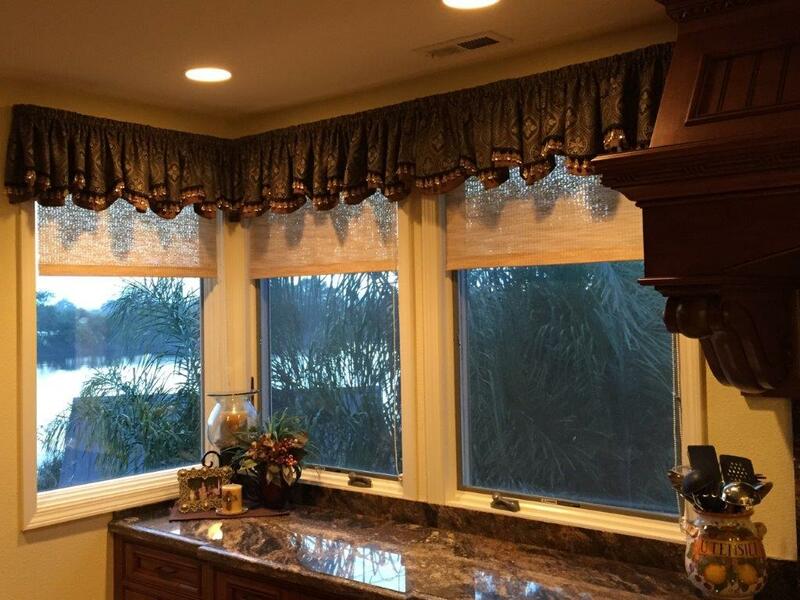 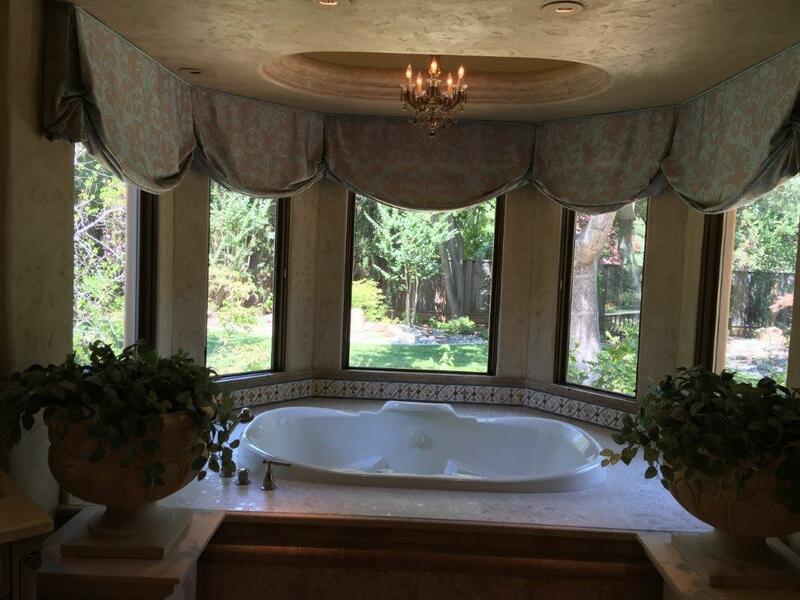 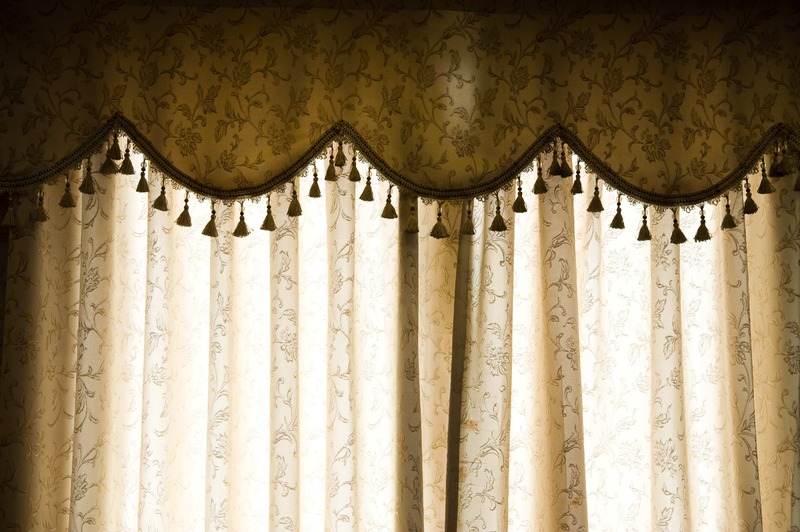 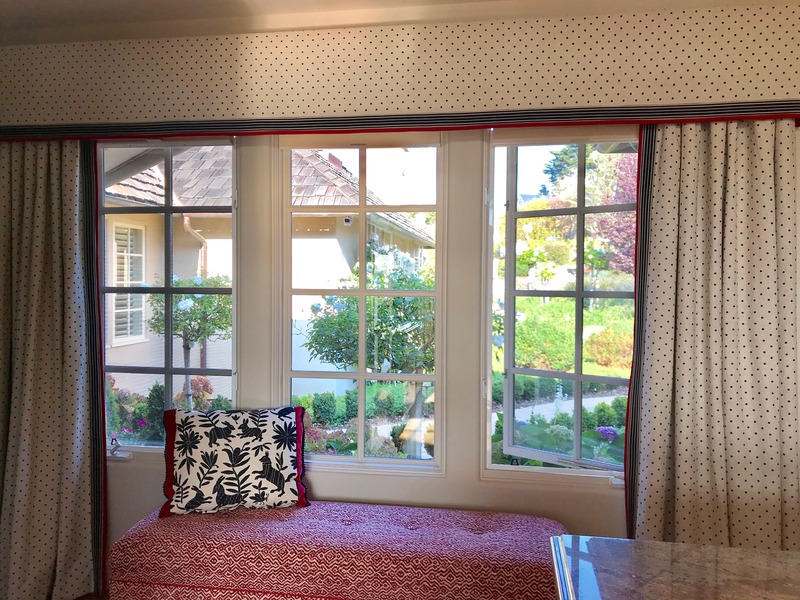 Valances are installed at the top of the window and can be used as one of the element of an elaborate window treatment or stand alone. 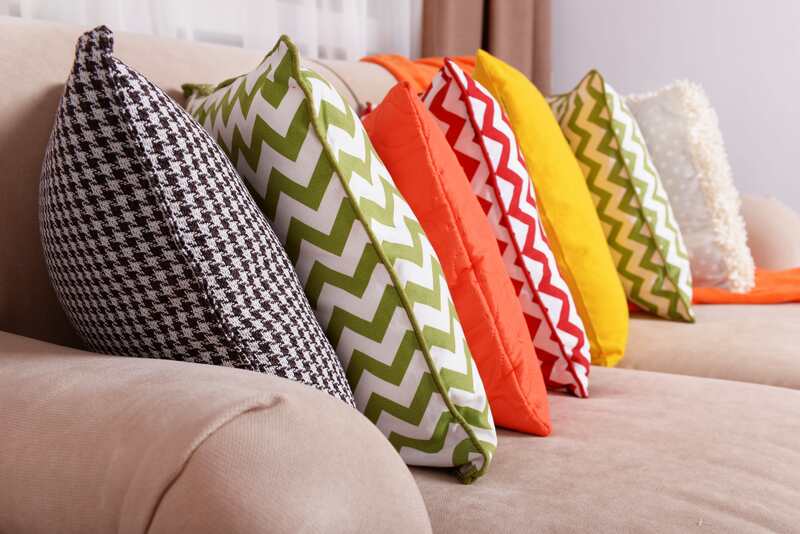 Who doesn’t love pillows! 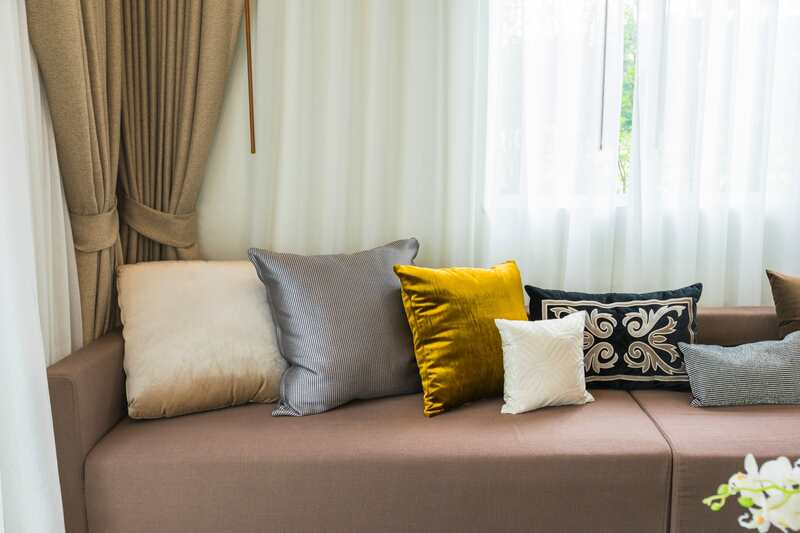 They bring comfort and class to any interior setting, and we create any kind of pillow you desire. 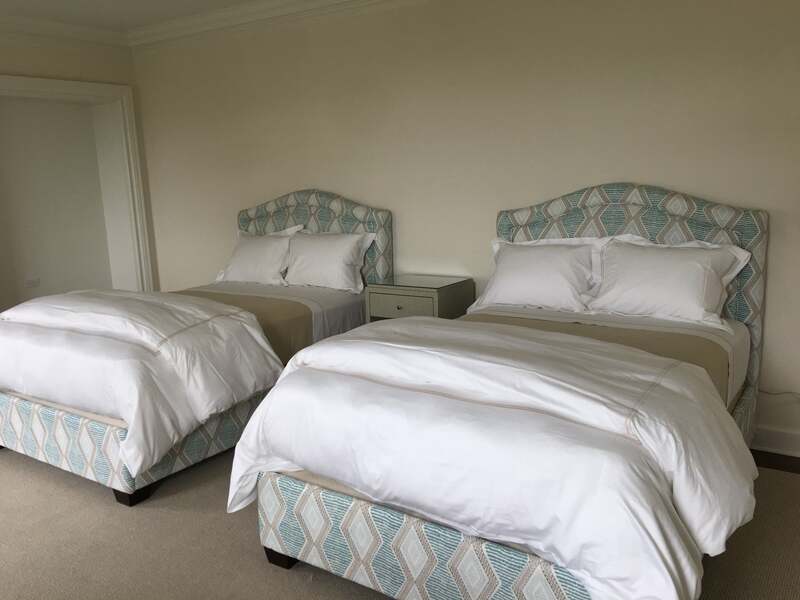 Designing an interior space is always more fun when we are making custom bedding. 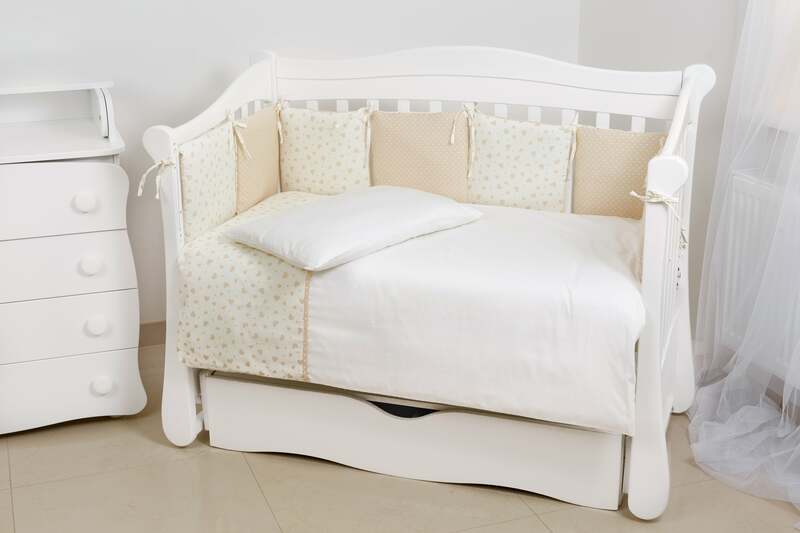 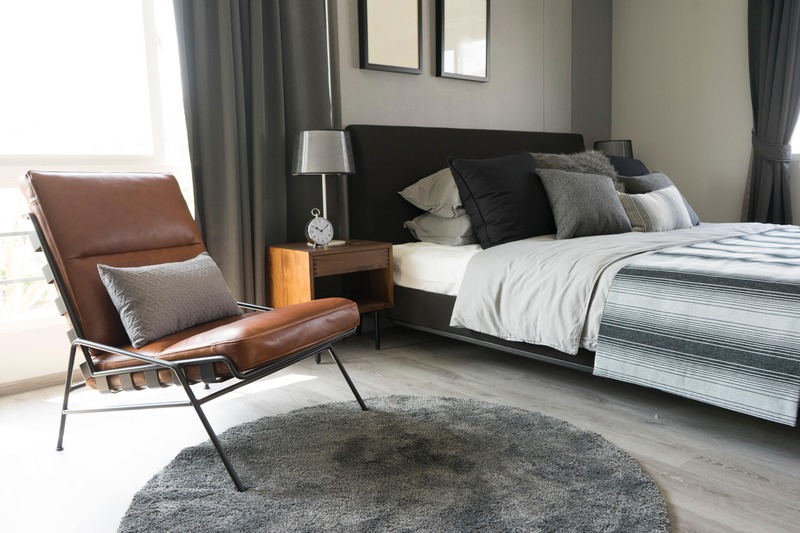 From dog beds to human beds to headboards and bed skirts and bed coverings of all kinds, we will bring your bedding idea to life.